Looks like the Big Goog has been awarded a new lockscreen patent, which could bring some new features to our good buddy pattern lock. 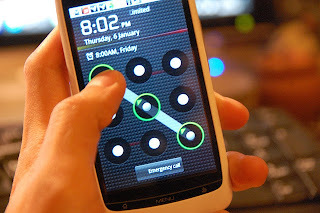 Pattern lock is no stranger to Android; in fact, it has been part of the mix since the beginning. With this new patent, though, the old dog may be learning a couple of new tricks, like custom gestures to launch specific apps. This feature is pretty rad because it would allow you to perform tasks by making a gesture anywhere on the lockscreen, not just in a specific area. There are quite a few possibilities here, like quick access to the dialer or SMS app, toggle Wi-Fi or Bluetooth, or even silence the device in an instant, just to throw some ideas out there. Awesome.